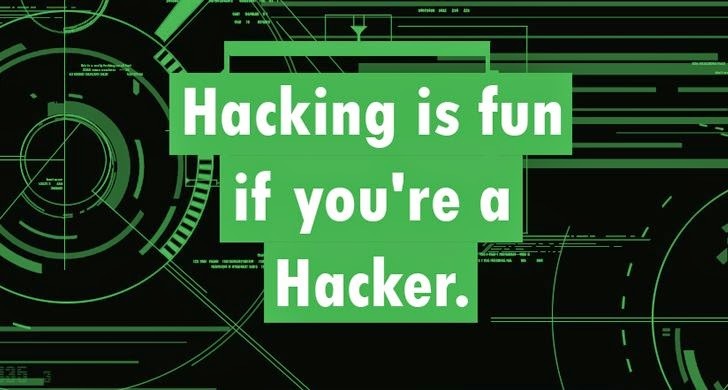 Most people want to learn hacking just for fun to hack into their friend’s Facebook account or Gmail. Remember, Hacking is a skill and if you are here for the same reason, sadly but this platform may not work for you. A way to become an ethical hacker is to get Cyber Security Training from any Cyber Security University or by joining Online IT Training Courses. Why Should I Join Security Training Courses, Cyber Security Certifications or a Cyber Security Awareness Training? Obviously, I need a Job!! Yes, the main reason for me to learn Ethical Hacking is to apply my programming skills greatly to advance my career as a network administrator, a cyber security specialist, a network security specialist, web application security expert or a freelancer online. Government and most of the Businesses-related organizations that are very serious about their network security mostly hire penetration testers and ethical hackers to help issues and improve their security of networks, applications, and other systems with the ultimate goal to prevent data theft and fraud. Cyber Security, Digital Forensics and Hacking is an incredibly fastest growing job sector. In year 2013 alone, there were over 200,000 national postings for open cyber security positions in various government and private organizations. If you want to learn hacking and cyber security, you need a huge fee to enter into this industry. People spend lots of dollars in order to learn cyber security, network security and grab a degree in cyber security. ...FREE SOLUTION to your problem, CYBRARY.IT — Free online IT (Information Technology) and Cyber Security Training. This new revolutionary training program by Cybrary is designed both for anyone seeking a career in information technology (IT) and cyber security, as well as programmers and technology experts who want to develop their hacking prevention skills. This course is fantastic, Why? One of the most important things of Cybrary is that it is Free online IT and cyber security training environment for the world, so that anyone can join it in one shot. The folks at Cybrary are committed to keeping all the IT and cyber security professionals across the world prepared for this ever changing industry and its upcoming technologies. Ethical Hacking and many more. Their Free and Online Cyber Security Training video classes include everything from cyber security certifications, including CISSP, Certified Ethical Hacker and CCNA to advanced top skill sets like advanced penetration testing and cloud administration. This online IT training courses also includes instructional lectures, white papers, exam study guides, interactive lab demonstrations, case studies and many more. The Cybrary.IT is a new school in cyberspace and based on the knowledge you gain here could help you to grab various cyber security degrees from popular universities as well as cyber security certifications offered by CompTIA, Cisco, and Microsoft. So, choose one of your best courses in cyber security and network security that you want to brush up. JOIN it Now by Registering for Free.